TIGG offers a wide range of activated carbon adsorption equipment and systems for vapor phase applications in the remediation, industrial odor control, emissions, and other markets. These vapor phase activated carbon adsorbers are designed for use with: air stripper off-gas, SVE, tank vents, contaminated air resulting from remediation of contaminated soil, industrial odor control, manufactured gas plant (MGP) contaminated vapor generated during remediation, process vents and gases released after fumigation of various products. The range of flows provided by TIGG’s vapor phase activated carbon adsorber line is from 20 to 20,000 cfm. Larger flows have been treated by using adsorbers in parallel. All of these adsorbers have been designed to have low pressure drop, excellent flow distribution, and resistance to corrosive compounds. TIGG’s vapor-phase activated carbon adsorbers and filtration systems are available for sale or rent. 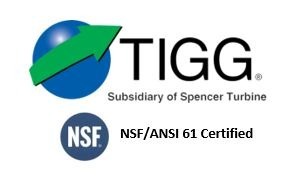 For more information about TIGG’s Activated Carbon Adsorption Systems for Vapor Phase and Air Filtration, call 1-724-703-3020 or click here to contact us.